INFINITLY is a growing IT Company established since 2017. We have expertise in Graphic Design, Digital Marketing, E-Commerce, Video Editing, Web Development, Content Writing, Web Designing and Shopify Stores. Our Future Plan is to start working in Android/iOS and Desktop Application. We also want to train Fresh Students in different IT fields belonging to backward areas like Bannu, Karak, D.I Khan etc. People of those regions are full of potential that needs to be tapped. Our main aim would be to bring at par those students to compete in Global IT field. 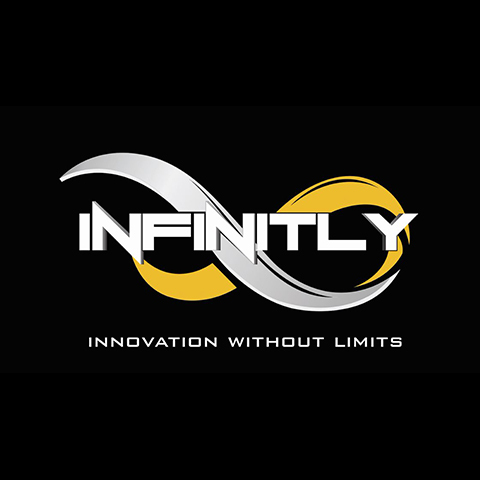 The slogan of INFINITLY is 'Innovation without limits'. We do innovation and creativity on levels never seen before, but we also value our clients in a way that is unique. We believe to distribute innovation to create an infinite ideas, infinite solutions and infinite success stories for every organization we work with. With innovation, we are ready to face the challenges and to compete in international arena. We provide informational services to help reduce operational costs and reduce risk. We are offering Full Suite IT Enterprise Services. INFINITLY is the next generation information technology company that is shaped in the digital journey of customers and revolutionizing the way in which they operate. We have continuously evolved with advancement in technology. We inspired people and push their boundaries, people who think differently, visionary, extremely perfectionists, creative and passionate because for INFINITLY perfection is not an option it is our essence. Trustworthiness is a fundamental concept and INFINITLY insure the long-term reliability about their projects. At INFINITLY we like to think of innovation as fresh thinking to create results. Every new challenge translates into investigation, learning and solutions. Our core values are Initiative, Integrity, and the Pursuit of excellence, Respect, Leadership, Flexibility, Reliability, Excitement and Teamwork. Our team is our main asset with a focus on value and commitment to growth.